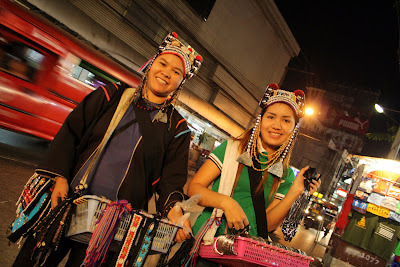 Women from a northern hill tribe selling their wares at Chaing Mai's night bazaar pause to pose for a picture. By the time I had finished snapping a few shots, seven of them had gathered around me, persistently pushing necklaces, bracelets and small wooden instruments that made the eerily accurate sound of a bullfrog. 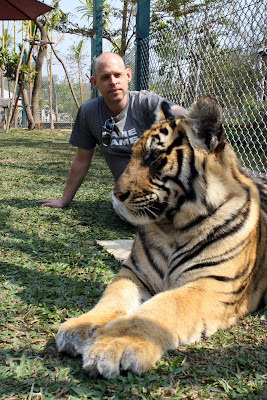 Yours truly sitting with a tiger at Tiger Kingdom, near the Maesa Elephant Camp off the road to Mae Rim. An elephant eyes my camera at the Maesa Elephant Camp off the road to Mae Rim. 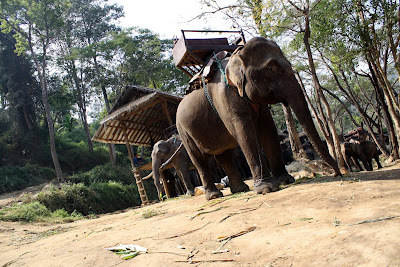 The elephants put on a show at the camp, complete with trunk painting, dart throwing and harmonica playing. Pretty amazing to watch these lumbering creatures in action. 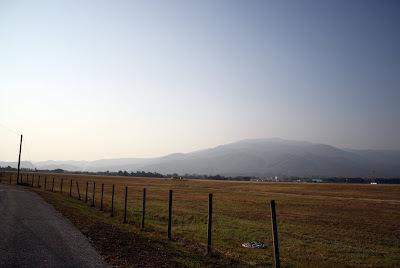 The doi Suthep mountains shrouded in haze, as seen from a frontage road near the Chiang Mai airport. 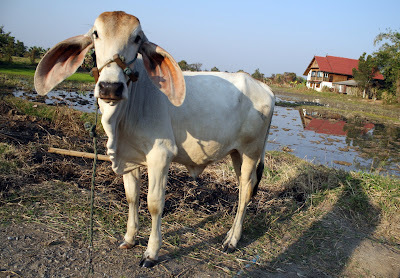 A floppy-eared cow pauses from munching grass to pose for a picture on the side of the road south of Chiang Mai. 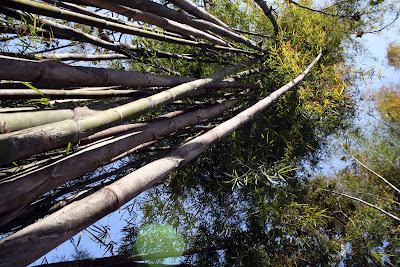 Looking up through a thicket of bamboo in a forest north of Chiang Mai.